Inspire and inform each patient. Allow others to achieve their most important objectives while you achieve yours. Improve their prospects—and the vitality of your career. Create strong, vital connections with your knowledge and kind reassurance. Enhance lives and your potential for success with the global leader in dialysis healthcare: Fresenius Medical Care North America. 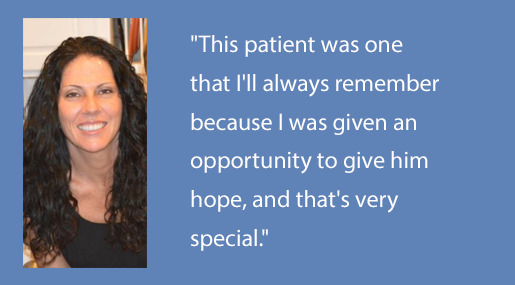 By forming powerful bonds among patients, their families, and our team members, we have built an atmosphere of clinical excellence and trust. 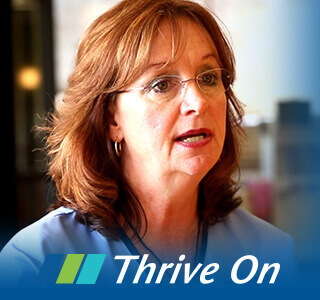 Offering vast resources, we advance careers and the healthcare of countless individuals. Take this opportunity to build a promising career with a healthcare leader. The professional we select will provide direct patient care, perform all technical dialysis procedures, assess response and make appropriate adjustments as directed by supervisor or physician. This individual will assess patient and document findings, administer medications, as well as assess and address patient/family educational needs regarding end-stage renal disease, dialysis therapy, diet and medications. Functions as a member of the Home Dialysis Team as the Home Therapy Staff Nurse.Ensures provision of quality Home Dialysis Training and patient care in accordance with FMS policies, procedures and the UltraCare at Home principles.Supports FMCNA’s commitment to the Quality Assessment Performance Improvement Program (QAPI)) and CQI activities, including those related to patient satisfaction. Actively participates in Quality Assessment Performance Improvement (QAPI) process that may enhance the likelihood that patients will achieve established FMCNA Quality Target Goals. Provides safe and effective training and oversight of the delivery of home dialysis therapy to the patient in compliance with standards outlined in the FMS Home Peritoneal Dialysis Policy and Procedure Manual, or/Home Hemodialysis Policy and Procedure Manual , as well as regulations set forth by the Corporation, state and federal agencies. Accountable for providing outstanding quality of patient care, as defined by FMS quality goals and standards. Assesses the Home Dialysis patient and Home Partner/family readiness and potential ability to perform dialysis treatments at home. Participates in and ensures all FMCNA policies regarding patient admission, transfer, and discharge are appropriately implemented. Admits all new home patients and documents the appropriate processes as required by policy and procedure. Provides safe and effective delivery of home dialysis training and education to patients with End Stage Renal Disease (ESRD) who have selected a home modality as a dialysis therapy. Trains the home dialysis candidate/Home Partner as appropriate on the safe and effective operation and maintenance of all home dialysis equipment and treatment supplies through an organized and formalized Home Dialysis Training Program. Provides ongoing education to patients regarding their renal dialysis, peritoneal or vascular access and home dialysis therapy, and other related health conditions. Assesses and manages patients’ response to home dialysis training and treatment therapy by following prescribed predetermined protocols. Communicates patient related issues to the physician as needed. 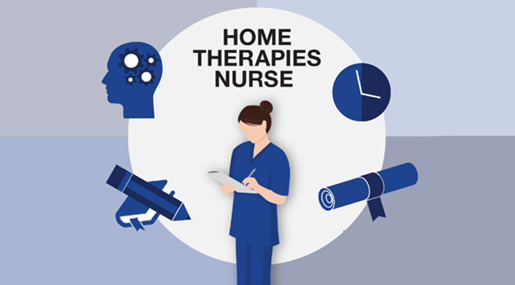 Reports adverse patient events at home or in the clinic, as well as equipment and technology related problems to the Clinical Manager/Home Therapy Program Manager, and physician including the correct documentation of such events. Coordinates the transfer or discharge of patients to the hemodialysis or transplant clinic when needed and appropriate. Reviews, transcribes, and enters physician lab orders accurately into Proton,AMI or Ecube medical information systems as appropriate. Follows company policies and government regulations related to the collection, packaging, and delivery of lab specimens and reporting of results. Maintains competency with all emergency operational procedures, and initiates CPR and emergency measures in the event of a cardiac and/or respiratory arrest when the patient is in the dialysis facility. Administers medications as prescribed including following prescribed algorithms (as appropriate), and documents appropriate medical justification if indicated and maintains records on controlled substances as required by law. Documents all relevant data including physician orders, lab results, vital signs, and treatment parameters, and patient status and any treatment related data appropriately, and enters into the appropriate medical information system. Completes all monthly and annual reporting as required by FMS policies and government regulations. Submits CQI information to Clinical Manager or Program Manager for completion of HT QAI Template for inclusion in facility QAPI review process. Participates in all monthly QAPI meetings and all required staff meetings as scheduled. Rotates coverage with other licensed staff to ensure reliable and adequate coverage and participates in 24/7 on-call coverage as assigned. Participate in staff training and orientation of new staff as assigned. Maintains appropriate skill level in the operation of all home dialysis therapy-related equipment, including the ability to troubleshoot equipment problems with the patient via telephone. Directs patients in the appropriate routine maintenance of home dialysis equipment, including water systems procedures as appropriate, immediately reporting any water/dialysate problems to the facility Home Dialysis technical support staff. Coordinates with the FMCNA RTG the ordering and delivery of the patient’s initial dialysis supplies; the ordering of the patient’s dialysis equipment as appropriate at the initiation of the training program; and the on-going operation and preventative maintenance of all home dialysis equipment through facility Technical support staff, or through the appropriate equipment vendor as required. Day to day work includes desk and personal computer work and interaction with patients, facility staff and physicians. The position requires travel between assigned facilities and various locations within the community. Travel to regional, division and Corporate meetings may be required. The work environment is characteristic of a health care facility with air temperature control and moderate noise levels. May be exposed to infectious and contagious diseases/materials. Minimum of one year nursing experience required. Minimum of three months (twelve weeks) Home Dialysis Training experience required. Experience must be specific to the modality of Home Dialysis Training that the staff member will be providing, ie; Peritoneal Dialysis or Home Hemodialysis. Must have successfully completed a training course in the theory and practice of dialysis therapy/ hemodialysis or peritoneal dialysis. Medical-surgical nursing experience and ICU experience preferred but not required. Competent at operating all Home Dialysis related equipment. Successfully complete CPR certification with maintenance as required. Demonstrated teaching abilities using Adult Learning principles.